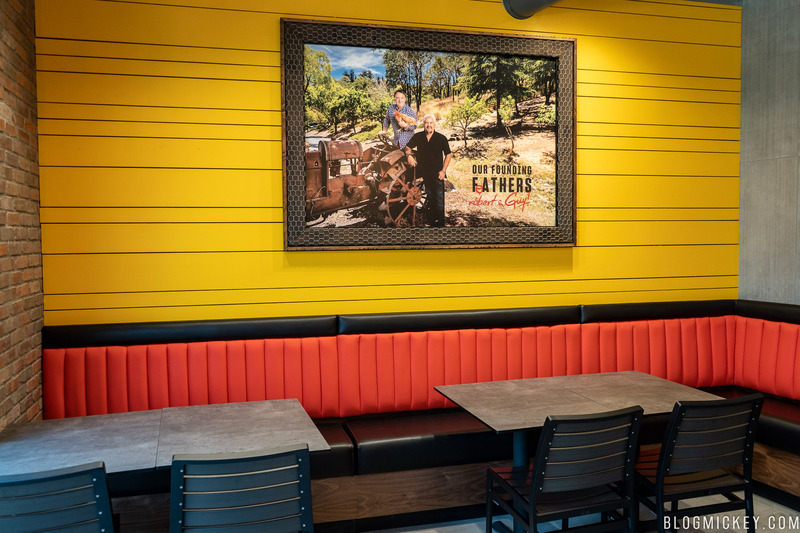 Chicken Guy, the newest venture from Guy Fieri, is now open at Disney Springs. 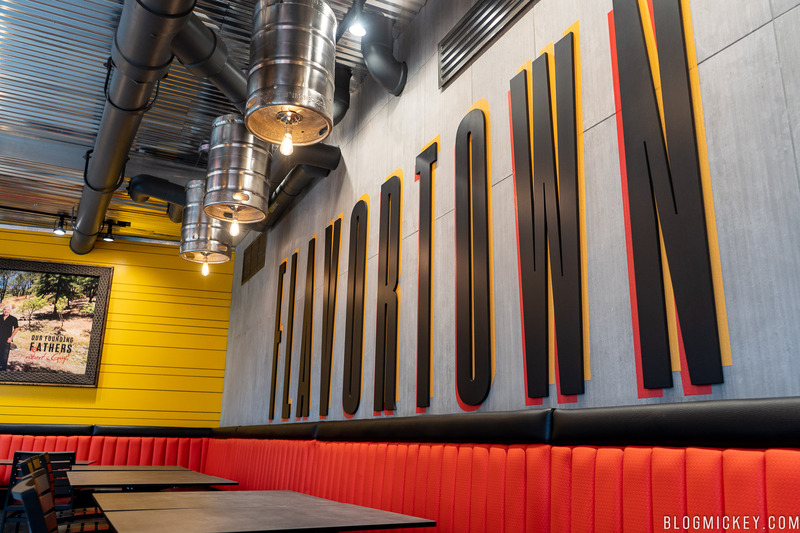 The new offering represents a foray into chicken sandwiches for Fieri, after launching a burger and more dining location at Planet Hollywood Observatory. 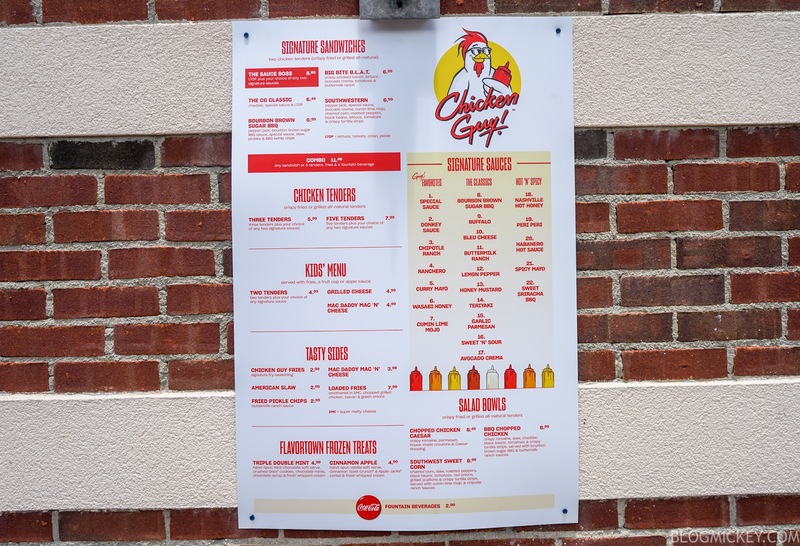 We made it out to Chicken Guy to give the new menu a try. 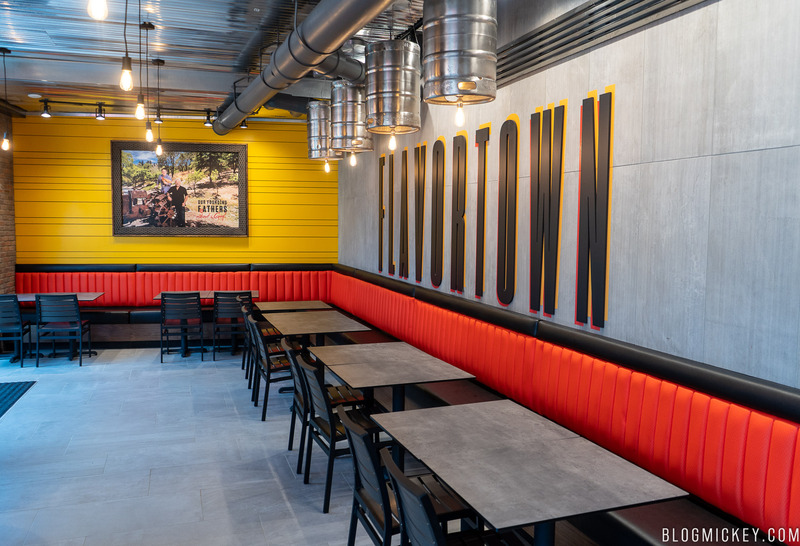 Attached to Planet Hollywood Observatory, Chicken Guy is a quick service location with limited indoor and outdoor seating. 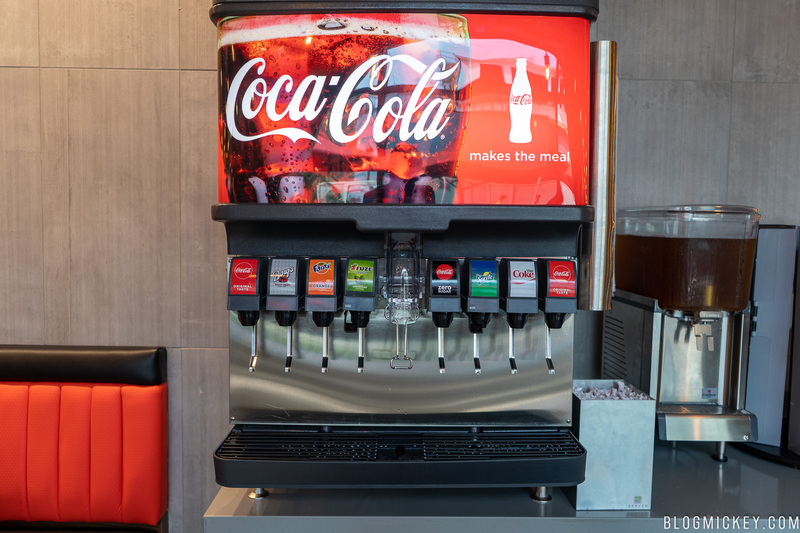 You’ll find the entrance on the right side of the Planet Hollywood Observatory exterior, across from the Coca Cola Store and the yet-to-open Wolfgang Puck Bar and Grill. Let’s take a quick look around the restaurant. First, a look at the outdoor seating area. 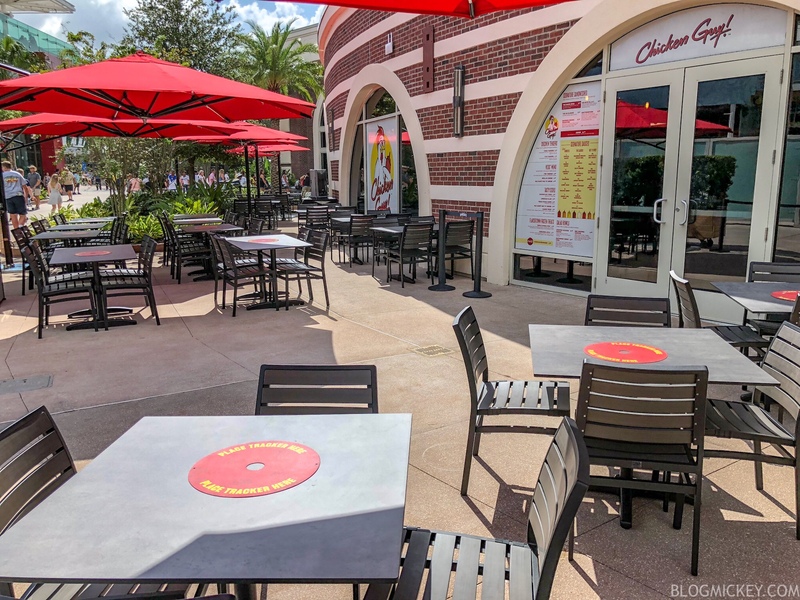 Large umbrellas provide shade coverage for most of the seats, but the limited indoor seating will likely be more desirable – especially during the hot summer months. Here’s a look inside. 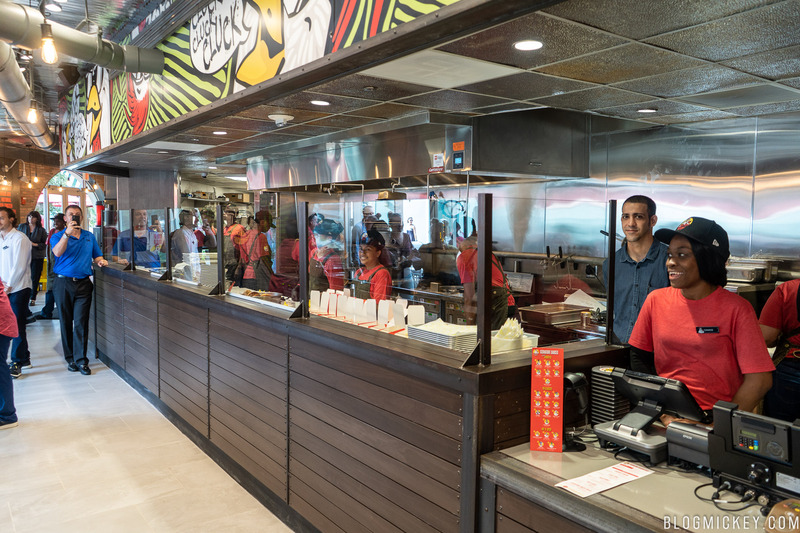 Once your order is placed, you’re handed a tracker to place on your table for your food to be delivered. You’re able to watch your food being prepared along the assembly line, if you’d like. We found the assembly line to be quick once the food was ordered and it was delivered nice and hot. Here’s a look at the limited indoor seating. Again, you’re going to likely want to either take your food to-go and find some shade or hope to get lucky for a seat indoors. 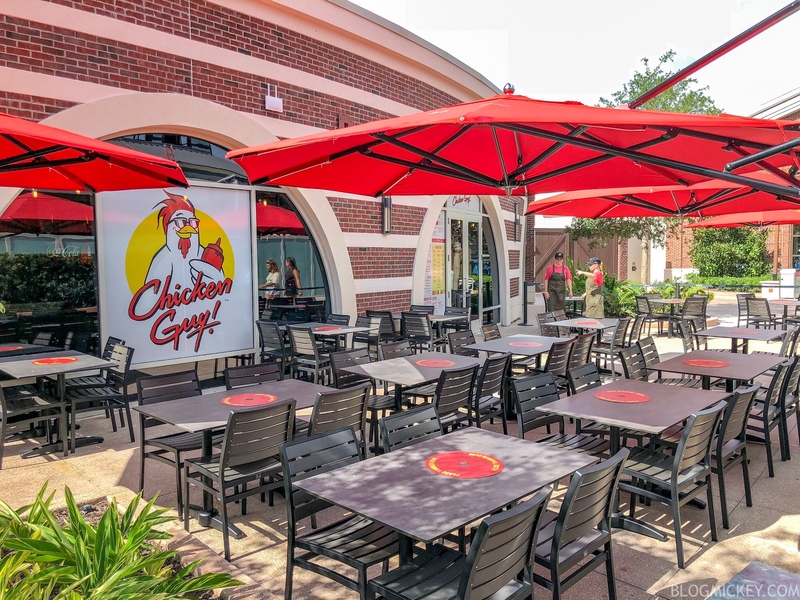 The hot and rainy summer days aren’t going to be kind to a location that has no overhanging structure and relies on umbrellas. 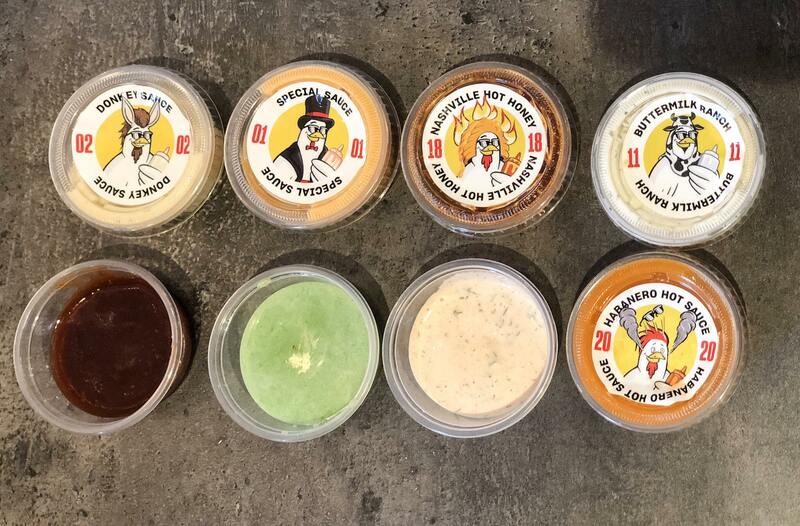 Before we dig into the food items that we tried, let’s take a look at what will undoubtedly be the star of Chicken Guy – the sauces. Of the sauces we tried, the Nashville Hot Honey stuck out as an excellent, all-around hot sauce. 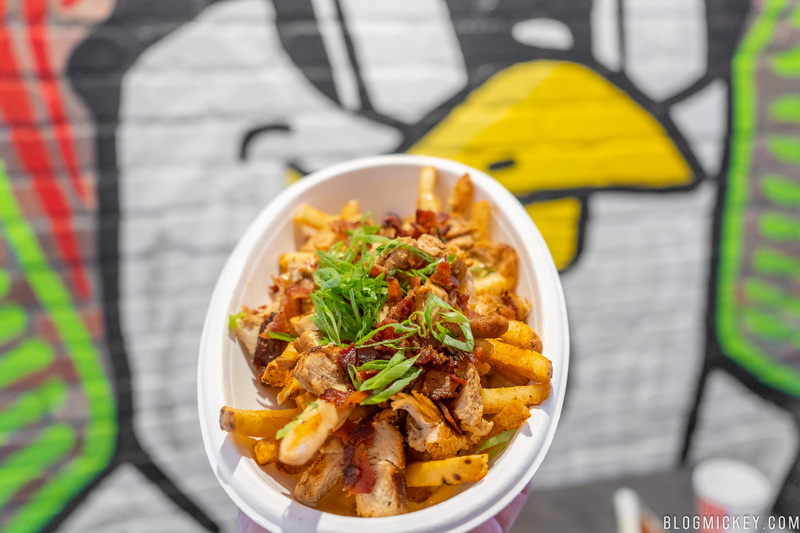 If you’re looking for something a bit more tame, we can recommend the bourbon brown sugar bbq as something that works with fries and chicken. Really, you can’t go wrong. 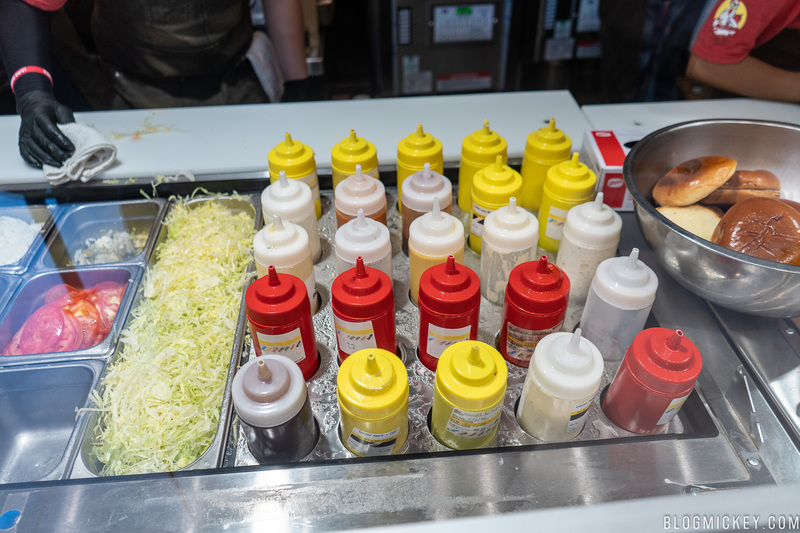 The sauces didn’t cost extra and the employees were more than happy to suggest some of their favorites. 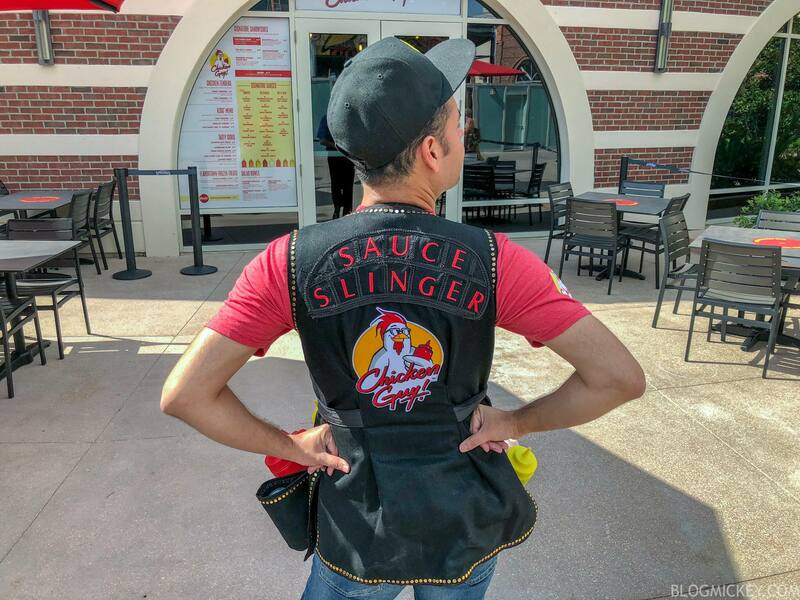 Didn’t get the sauces that you wanted when you ordered, have no fear, the SAUCE SLINGER is here! 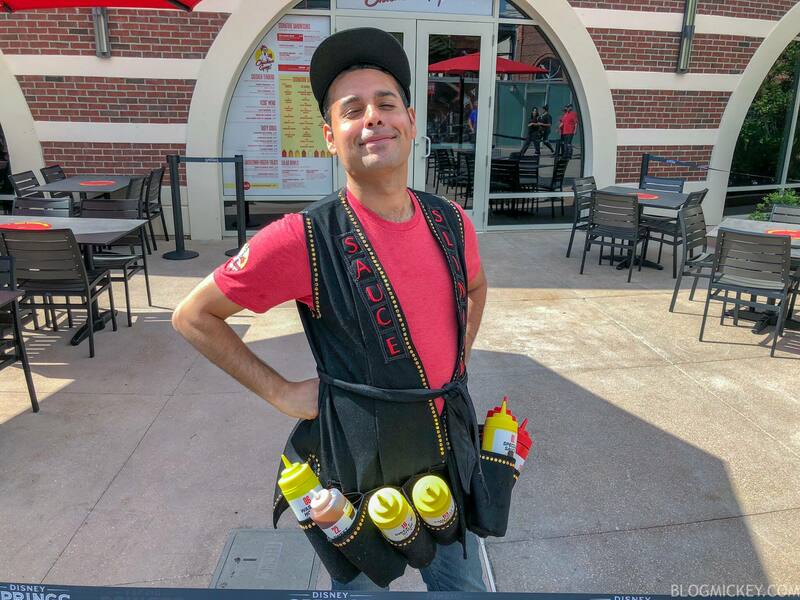 There is an employee whose only job is to deliver cups of sauce to your table. 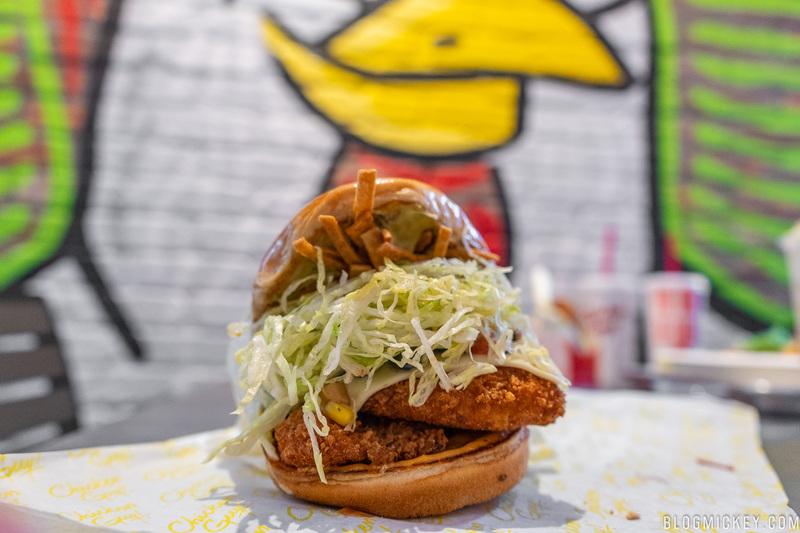 The Sauce Boss contains a classic setup of LTOP (lettuce, tomato, onion, pickle) as well as two chicken tenders which you can get either crispy fried or grilled. 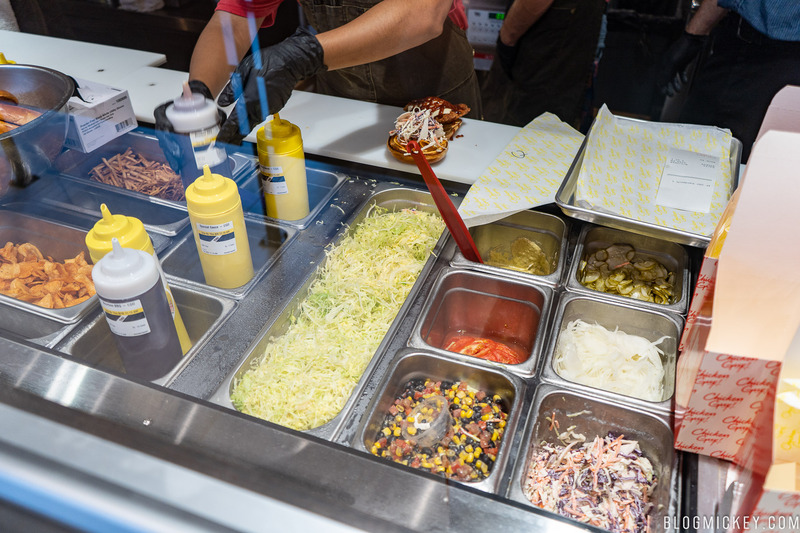 The fun part of this sandwich is that you can choose any two of the twenty-one sauces on the menu. We combined the special sauce and the chipotle ranch. 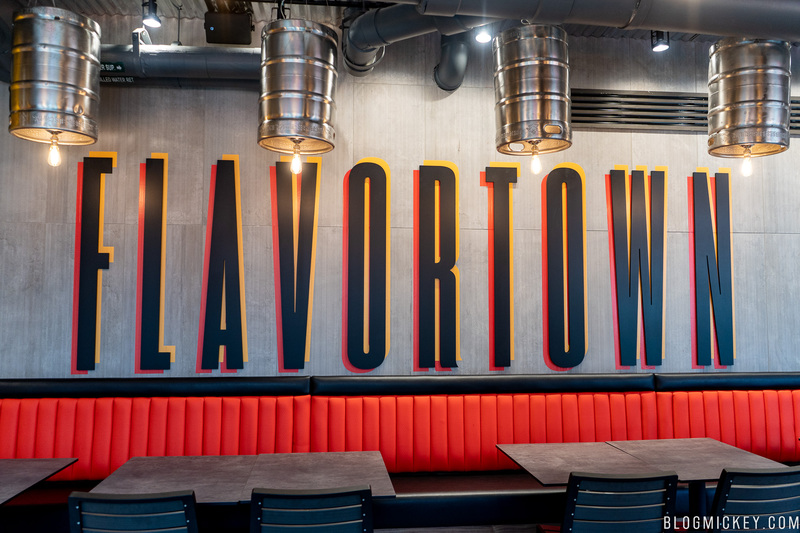 The sandwich relies on your ability to pick complimentary sauces, so your mileage may vary, but no matter what sauces you get, you’ll have two solid chicken tenders along with LTOP. 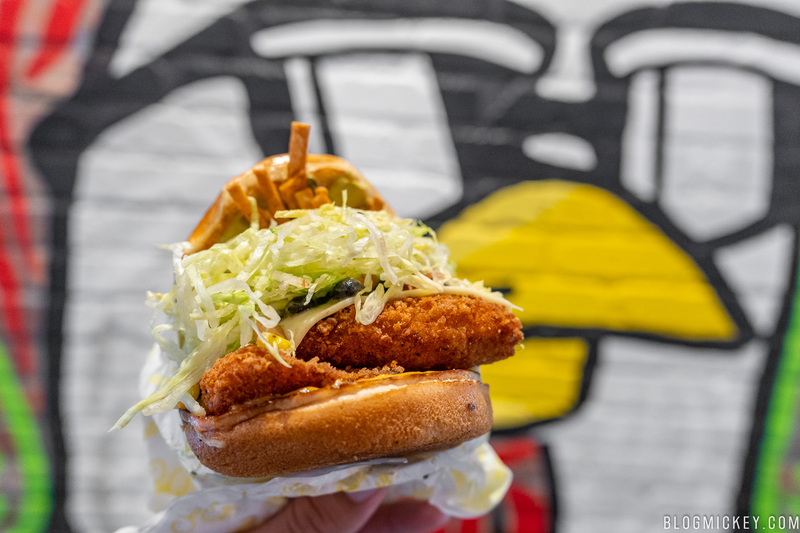 Pepper jack, special sauce, avocado crema, cumin lime mojo, charred corn, roasted peppers, black beans, lettuce, tomatoes & crispy tortilla chips as well as two chicken tenders which you can get either crispy fried or grilled. 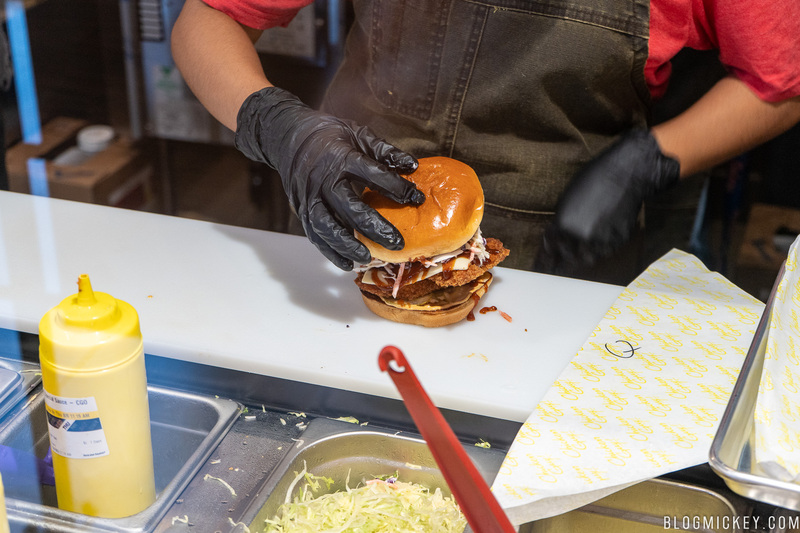 In what has become a Guy Fieri staple, you’ll get an overabundance of lettuce. It’s a bit of a shame too because the rest of the elements of the sandwich work wonderfully together. A bit of spice is found thanks to the cumin lime mojo and roasted peppers. The black beans, charred corn, and avocado crema work to try to neutralize the spice, but don’t completely remove it, which was appreciated. It’s far from overly spicy, but it retains its flavor nicely. 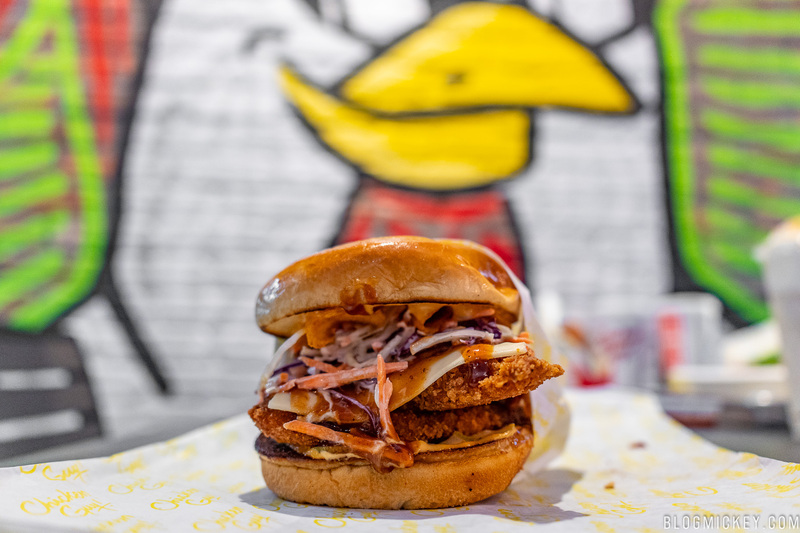 Pepper jack, bourbon brown sugar BBQ sauce, special sauce, slaw, pickles & BBQ kettle chips as well as two chicken tenders which you can get either crispy fried or grilled. Of the sandwiches we tried, this was our favorite. A classic bbq sauce gets a delicious spin with the bourbon brown sugar. 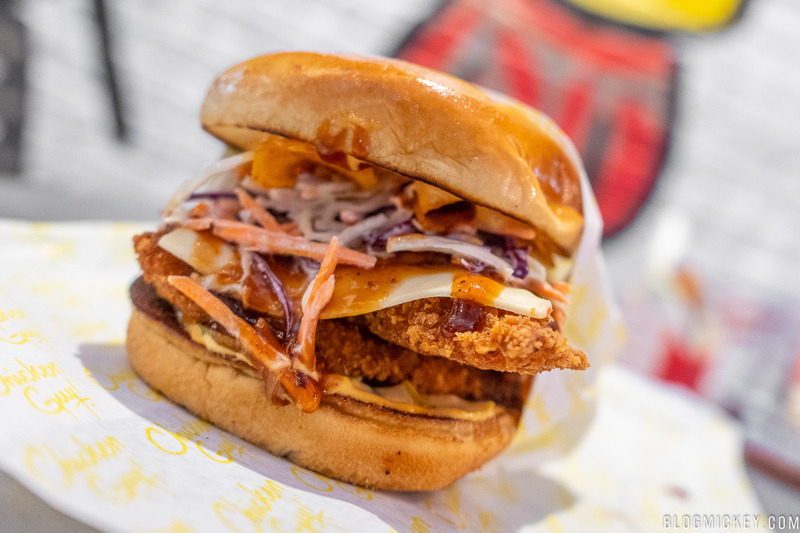 The special sauce is a delicious addition that plays well with the slaw and pickles to put a fun spin on a classic bbq chicken. 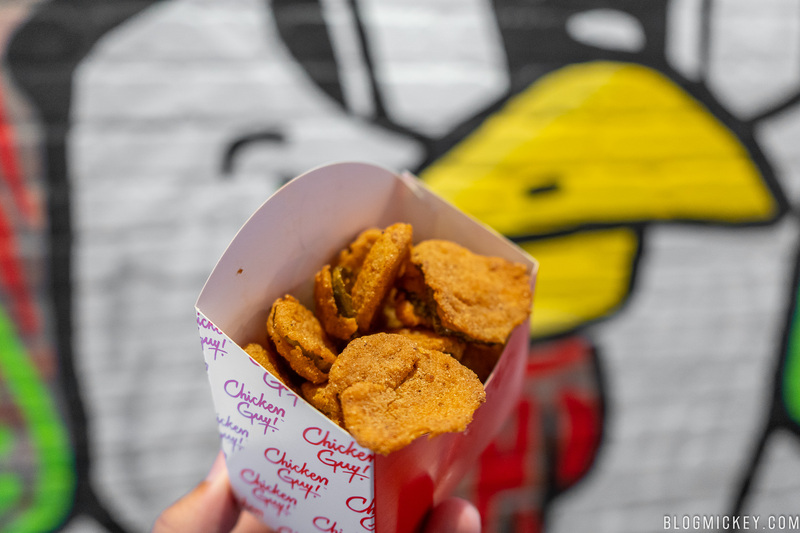 Crispy fried or grilled all-natural tenders. These three chicken tenders are good on their own, but they really work well as a way to explore the twenty-one sauces. 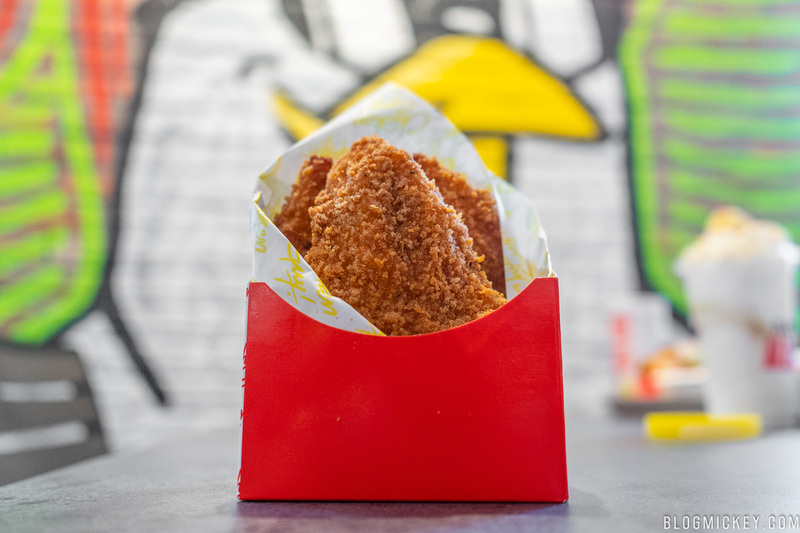 These are the same tenders that make up the two tenders in the sandwiches. Because we loved the sauces so much we only took one bite sans-sauce, but it was wonderful. A crispy exterior gives way to the soft, juicy chicken inside. These would make for a wonderful quick bite and a great way to explore the delicious sauce options. Smothered in SMC (super melty cheese), chopped grilled chicken, bacon & green onions. 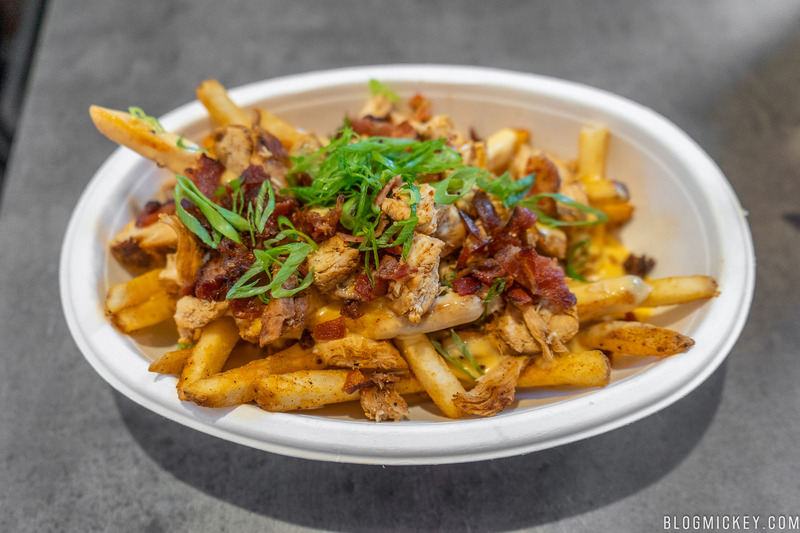 The expectations were high for the loaded fries given their status as the most expensive item on the menu. I don’t think the expectations were met. The cheese didn’t wow us and the whole dish was just ok. It’s definitely not something you’d want to replace a chicken sandwich with, even though it’s priced like it would. They didn’t skimp on the chicken or bacon, which was appreciated, but you can probably make your dollar go further elsewhere. This was, without a doubt, the most disappointing offering on the menu. We felt that the cheese was bland, which led to the dish earning a pass from us. 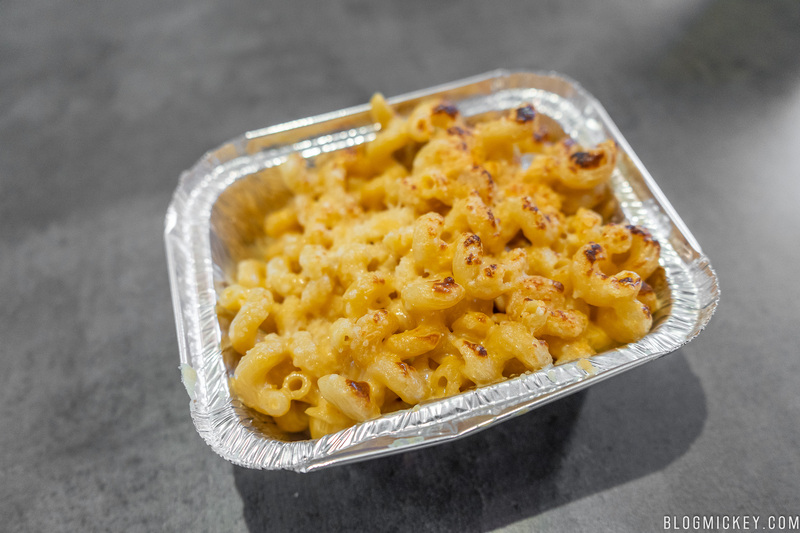 Even though the Mama’s Mac and Cheese at Homecomin’ is double the price, we still have it at the top of the Mac & Cheese offered at Disney Springs. The Mac Daddy Mac ‘N’ Cheese ended up being a really good portion size, but still not good enough to pay for again. Fried pickles chips come with a buttermilk ranch sauce, and are a solid side if you want to skip the otherwise standard Chicken Guy Fries at the same price. The batter used leads to a nice, crisp finish that sticks on the pickle without subduing the pickle taste. 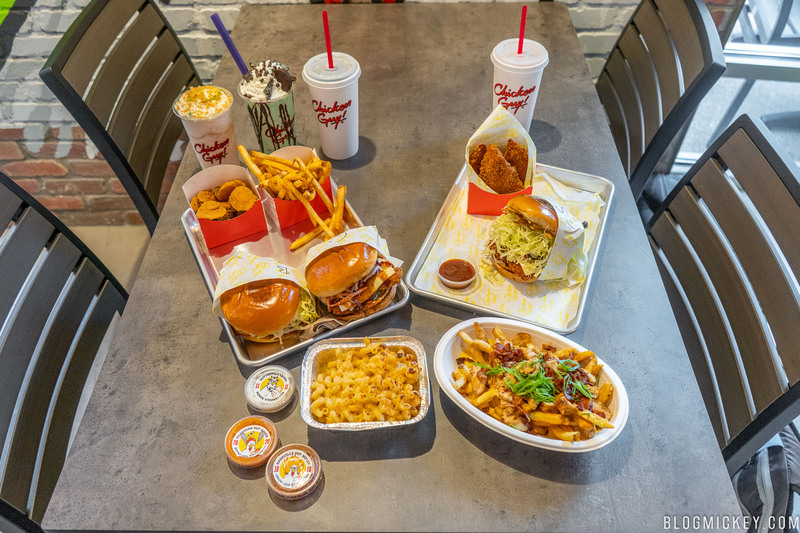 The buttermilk ranch is a solid sauce, but feel free to ask for any assortment of sauces from the Sauce Slinger to compliment your fried pickle chips. Hand-spun mint chocolate soft serve, crushed Oreo cookies, chocolate mints, chocolate syrup & fresh whipped cream. Of the two shakes offered, this one was the hands down winner. 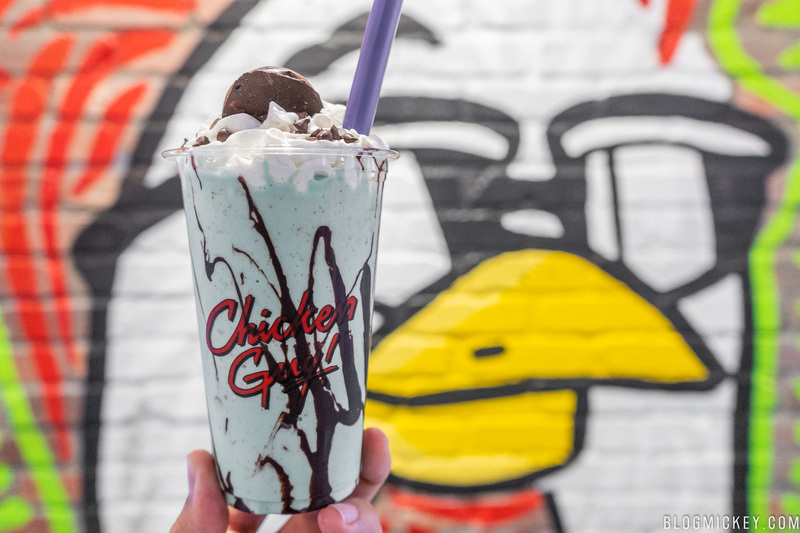 Somehow this shake is equally in-your-face and subtle. The mint flavoring was spot on and the chocolate syrup broke up the mint nicely by introducing a traditional chocolate flavor. 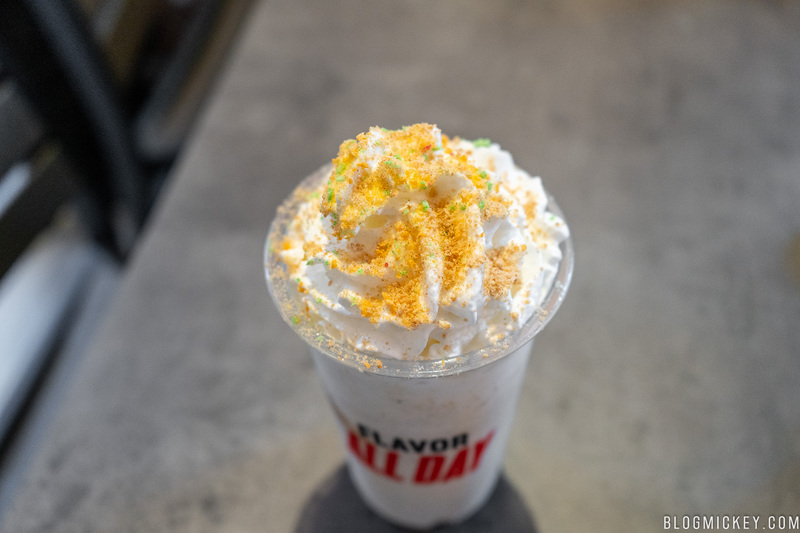 We’d definitely recommend this shake and will order it again, even if it’s just to grab it to walk around Disney Springs. Hand-spun vanilla soft serve, Cinnamon Toast Crunch & Apple Jacks cereal & fresh whipped cream. 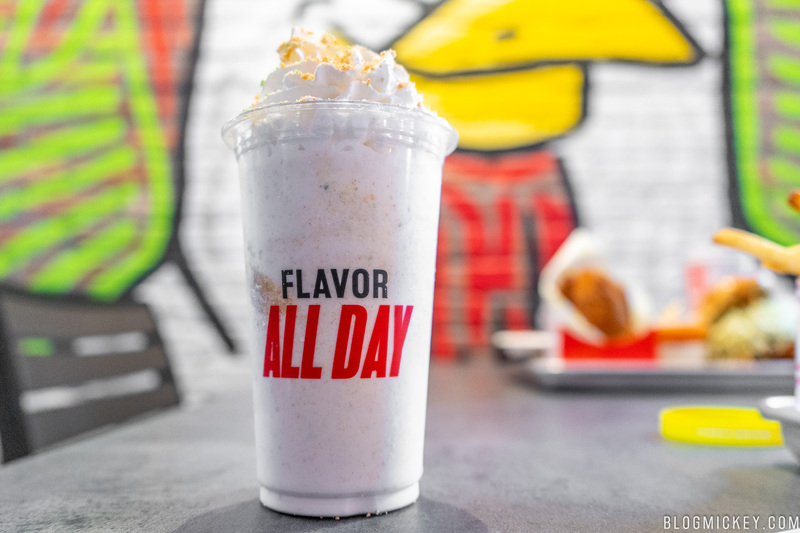 An ambitious sounding shake couldn’t dethrone the Triple Double Mint. 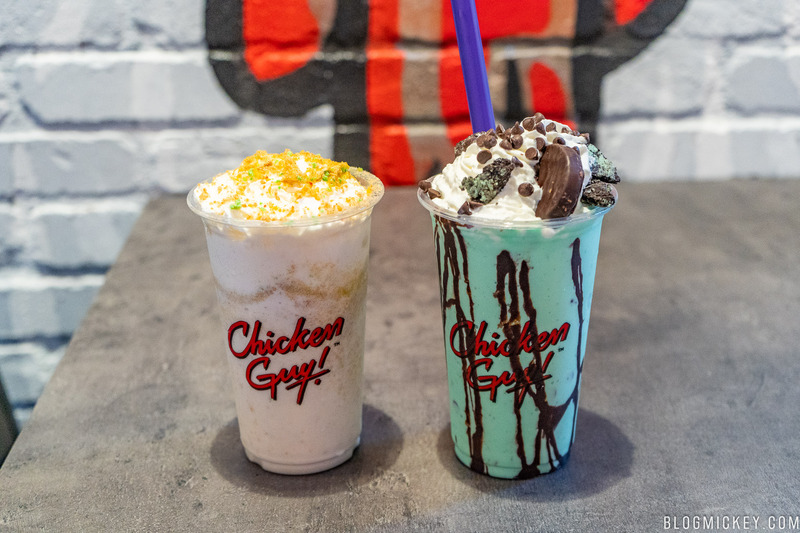 The flavors aren’t as strong here, which means you’ll get something closer to a traditional milkshake. 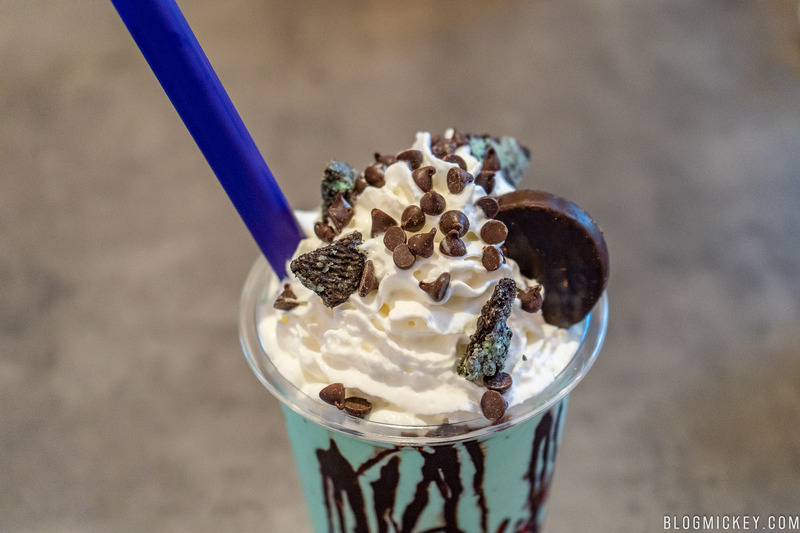 While a traditional milkshake flavor isn’t a bad thing, we’ll only order the Triple Double Mint on return trips – it was that good! 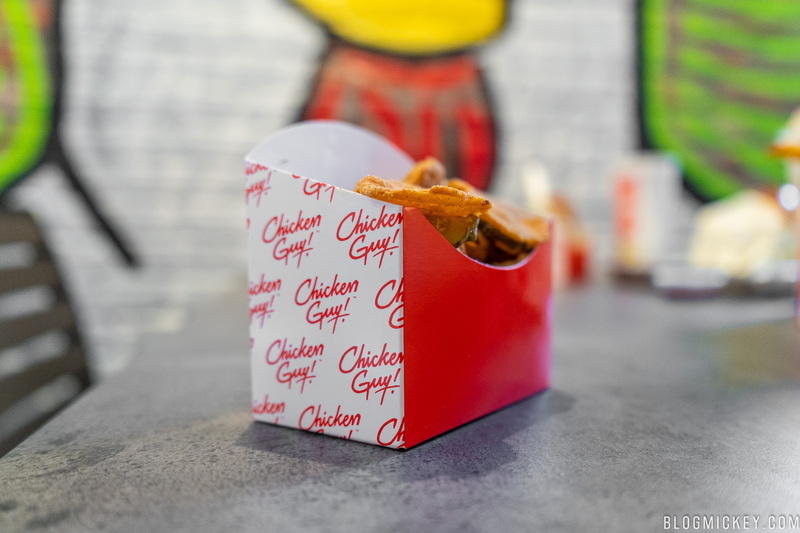 Chicken Guy exceeds expectations. 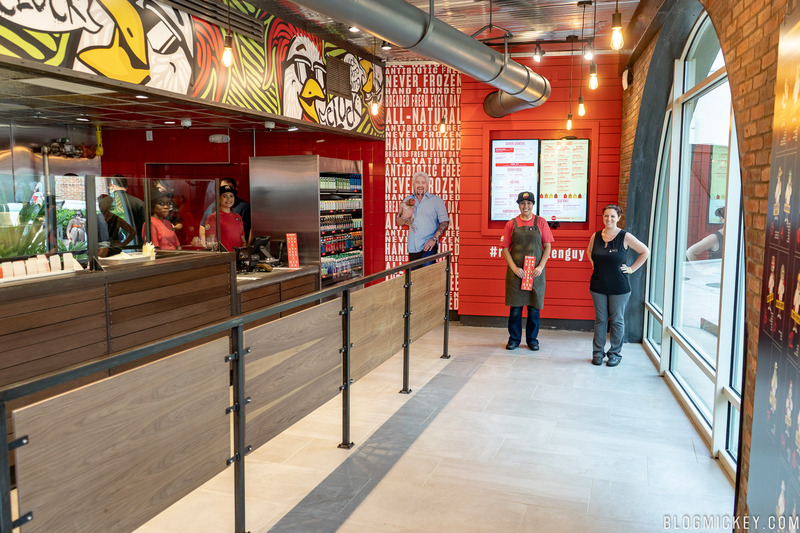 The items that we tried were thoughtfully prepared and the crispy chicken was really good. When talking to some of the executives on hand for opening day, they noted that the price point was important to get right. 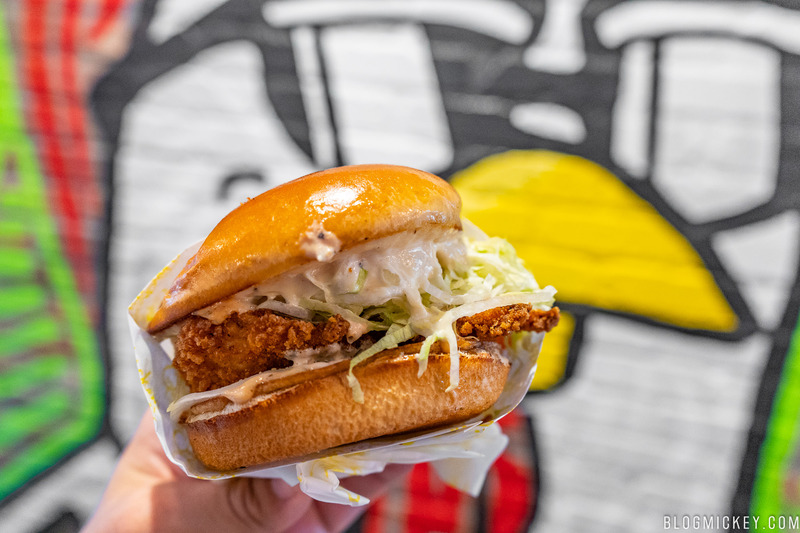 Having all of your items under $8 is quite an accomplishment at Disney, but they wanted to stay consistent with the pricing customers will see when other Chicken Guy’s open up around the country. 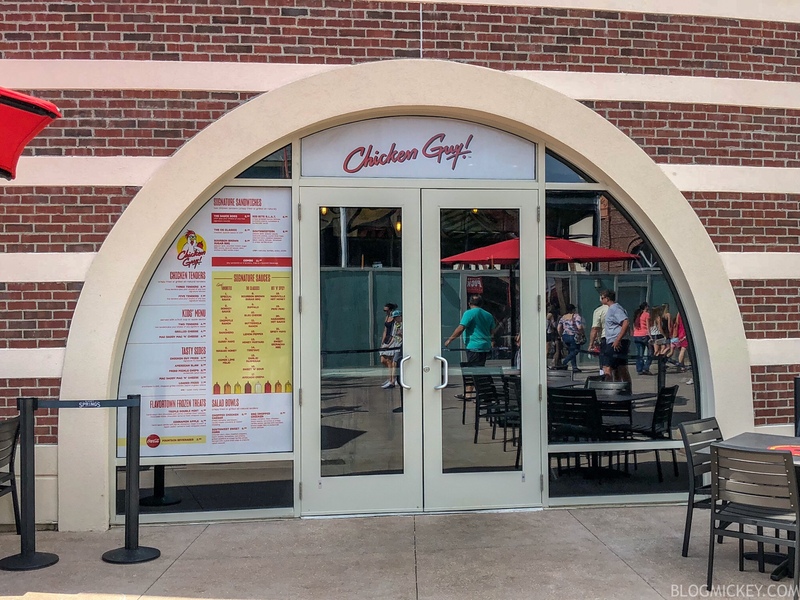 While the space doesn’t lend itself well to the higher crowds we expect it to draw over the coming weeks and months, Chicken Guy has become one of the top spots grab something quick and (relatively) cheap at Disney Springs.